There are many reasons to work towards attaining a healthy weight: Those who are overweight or obese are more likely to suffer from cardiovascular disease, type 2 diabetes, depression and even certain types of cancer. Dr. Afar, West Hollywood dentist, wants his patients who are obese or overweight to know they may also be at an increased risk of gum disease. According to a study from the Case Western University School of Dental Medicine, fat cells that trigger inflammation can make it harder for the immune system to fight off gum disease. The study focused on 31 patients. Half of them had undergone gastric bypass surgery and the other half had not. Both sets of patients had completed non-surgical periodontal treatment as well as root planing and scaling, and they were advised on the proper home cleaning regimen. According to the study, which was published in the Journal of Periodontology, each group showed improvement, but those who were losing weight had significant improvement in the amount of plaque, bleeding and the depth of periodontal pockets. Gum disease is associated with systemic inflammation and disease, including cardiovascular disease and Type 2 diabetes. Untreated, gum disease can also lead to tooth loss, which makes healthy eating more difficult and can cause an increase in obesity. Researchers concluded that more study and further analyses was needed, but these preliminary findings can help our dentist better advise patients on their gum health. 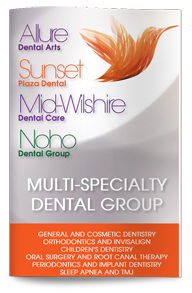 Contact us today to learn more about how you can enjoy better dental health or to schedule an appointment with Dr. Afar, West Hollywood periodontist.